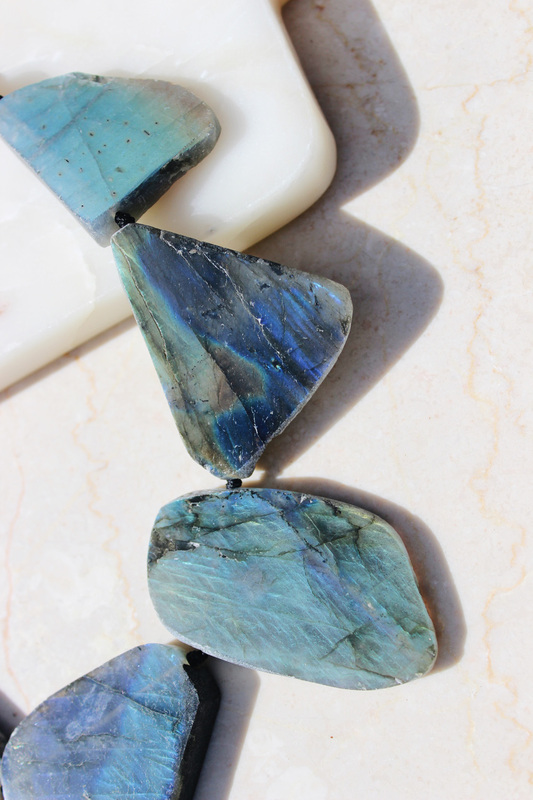 High quality cut and polished labrodoriate & beads. 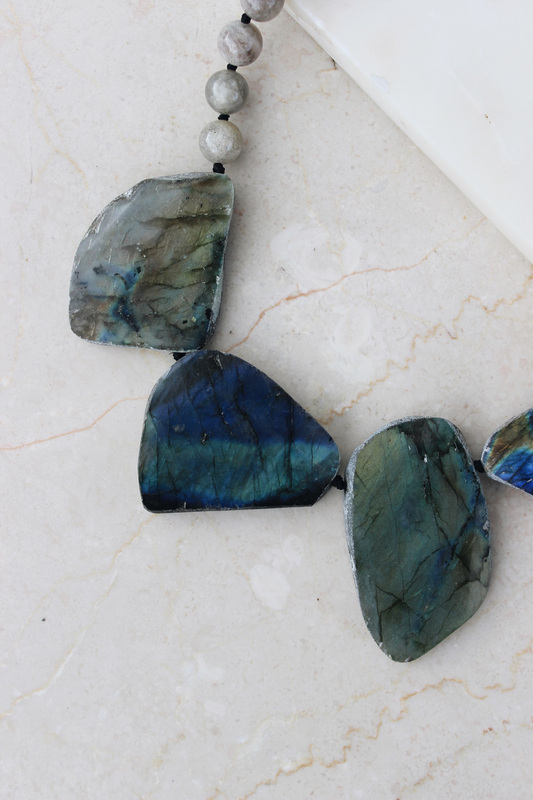 Incredible iridescent of beautiful blues. 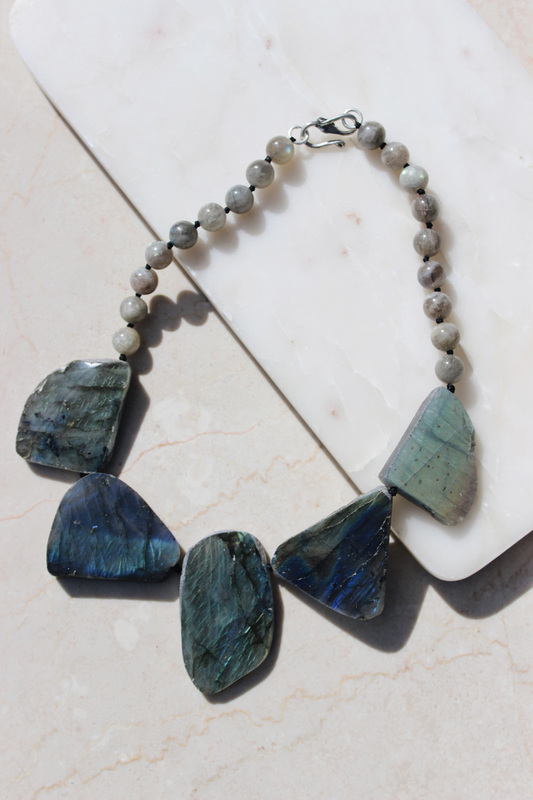 This labordorite stone necklace is the rock star of mystical lore and ancient legends. The legend of this stone from the early inhabitants of icy cold Canada that believed this stone was frozen fire coming from the Northern Lights. You'll see all the shimmery iridescent blues, greens, and purples that only the Northern Lights could create. Turn on the magic in you with this beauty!